LIFE IS FULL OF PRECIOUS MOMENTS. OTHERS ARE SWEET MEMORIES, FADED WITH TIME. WHATEVER THE MOMENT… SHARE IT WITH PANDORA. My favourite memories often involve celebrating with friends and family. Births, weddings and achievements are all worthy events to rejoice with the ones you love. 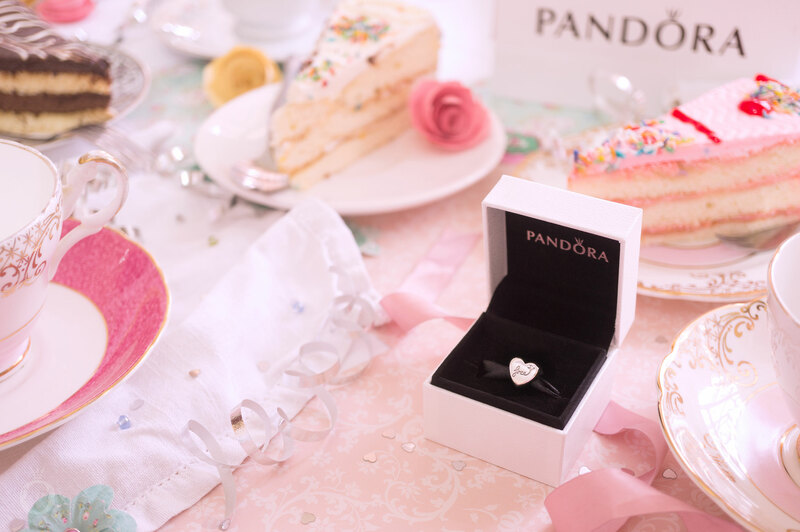 But once the cake is eaten and the balloons are all popped, a PANDORA charm will commemorate the occasion forever. Cakes are special. Every celebration ends with something sweet, a cake, and people remember. It's all about the memories. A wedding, a great wedding, is just a blast. A celebration of romance and community and love... What is unfun about that? Nothing. The bells are already ringing and wedding season has arrived. The PANDORA Love Couple Pendant is a quirky gift for a groom to present his bride on their wedding day. A shiny silver heart is engraved with ‘Mr & Mrs’, joined with a heart and the bale has the sweet inscription ‘The love of my Life’. A more understated option is the Mr & Mrs Pendant which has a slender bale set with clear cubic zirconia stones. If you want to congratulation a friend, but are unsure of what gift to buy, then follow Marie Antoinette’s advice and “Let them eat cake!”. 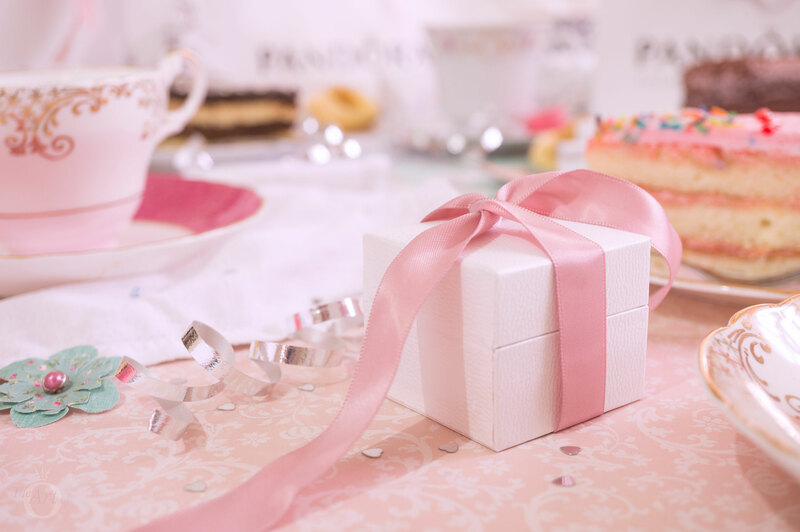 The PANDORA Celebration Cake Pendant is a saccharine sweet charm with pastel enamel filling, a pink heart decoration and message with ‘Congrats’. With graduation time approaching, the PANDORA Graduation Scroll Pendant is a perfect gift to symbolise the effort and hard work of the new graduate. A tightly wrapped scroll depicts the certificate and the engraved ‘2018’ commemorates the year. The timeless PANDORA 21 Years of Love Pendant is an ideal gift to mark turning officially into an adult. If only its glittery infinity sign allowed you to stay forever 21! The first new home you move into as an adult is often the dearest as it is full of so many memories; The first time you decorated without having to comply to your parents taste, fixing a leaky tap in the middle of the night, holding a slightly smoky barbecue with friends that causes a neighbour to call the fire brigade, accidentally ‘catching’ an extra cat when you put the catflap setting on in and not out… and so much more! 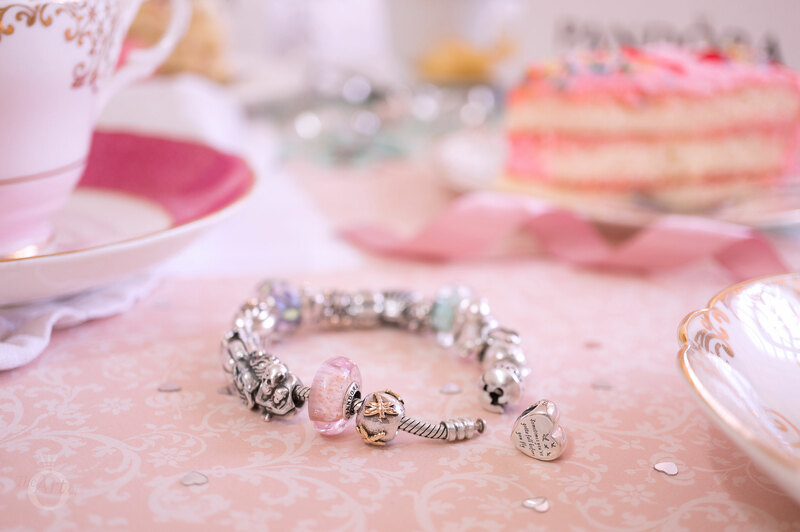 Celebrate the good times and the bad with the adorable PANDORA Home Sweet Home charm. This pretty silver charm is full of detail including the engraved message ‘Home Sweet Home’ beneath. Rows of flowers line up by the door and a love heart is positioned near the roof, because a house only becomes a home once it is filled with love. Some experiences in life are so significant that we will cherish them forever. Likewise, while there may be some people in our life who drift in and out like the tide, others are permanent fixtures, rocks we can depend on. Those are the ones we need to cherish and hold dear. Cherish all your happy moments; they make a fine cushion for old age. Friends... they cherish one another's hopes. They are kind to one another's dreams. The delicate PANDORA Openwork Linked Love Ring is a wonderful gift for a friend or partner who is an important link in your life. Tiny beaded hearts interlock to form a circle filled with love. The PANDORA Entwined Hearts Necklace is a perfect present for someone who plays a significant role in you life. The two little hearts, one silver and one 14ct gold, represent unity and love shared. I love the simple elegance of the PANDORA Droplets Ring, a sleek silver band set with glittering clear cubic zirconia stones. This delicate ring would be as a fabulous promise ring, as its classic beauty will stand the test of time. In the past the tying of twine or a bow often represented the need to remember something important or the joining of a new union. If you have someone important that you want to remember the gorgeous PANDORA Brilliant Bow Stud Earrings are much more fitting than a piece of string! Who best to cherish and hold dear than our marriage mate? After seeing us at our best, they married us and after seeing us at our worst they still love us. Show how dear your husband or wife is to you with the dazzling PANDORA Anniversary Celebration charm. The cut out heart detail and engraved ‘Happy Anniversary’ message express your adoration. Friends and family are the colourful threads which make up the tapestry of our life. Where would we be without them? Let us be grateful and acknowledge all they do for us and show how much we appreciate them. Everyone wants to be appreciated, so if you appreciate someone, don't keep it a secret. Make it a habit to tell people thank you. To express your appreciation, sincerely and without the expectation of anything in return. If someone has been a super star in your life, show your thanks with the twinkling Star Shine Stud Earrings by PANDORA. The dainty studs will provide the finishing touch and make any outfit special. For a more abstract style, I love the Bright Hearts Hoop Earrings with their blend of clear, purple and lilac cubic zirconia tones and modern style. Your wedding day might be one of the happiest days of your life, but it is also likely to be one of the most stressful! Bridesmaids are often the ones who are busy behind the scenes saving the day. They are the ones ensuring your makeup isn’t smudged and helping you use the bathroom while dressed as a meringue! 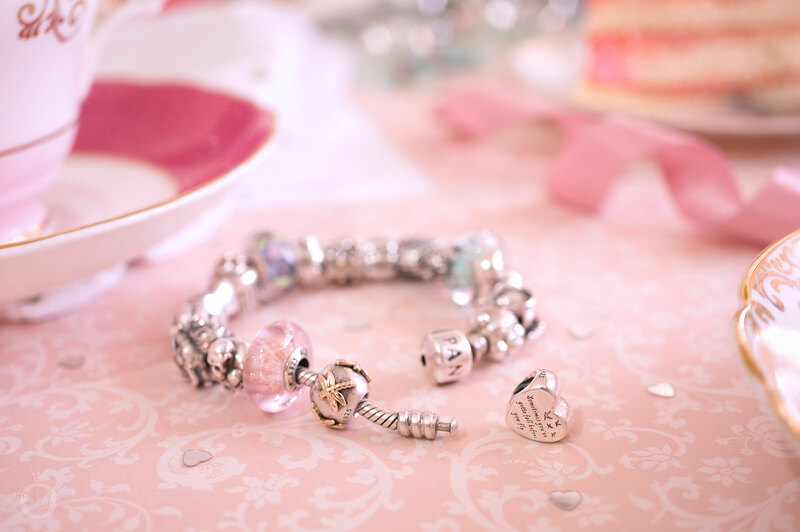 Show how much you value them with the sweet PANDORA Best Bridesmaid charm. 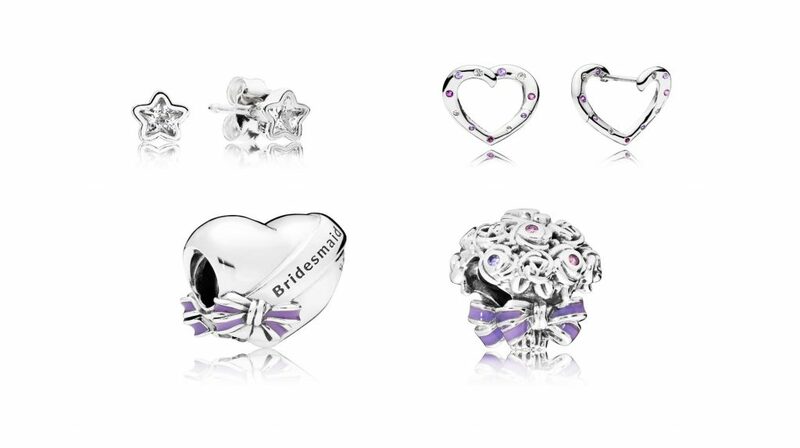 The pretty purple enamel bow and ‘bridesmaid’ engraving will display the big part they played in your special day. One of the best ways to say thank you is with a lovely bouquet of flowers. Yet, whilst I adore fragrant blossoms, they only last a few days. The PANDORA Celebration Bouquet charm will stay blooming fresh forever! The flourishing silver roses are tied in a beautiful bow with purple enamel detail. Pink, purple and lilac crystals provide a charming dew like shimmering. A timeless gesture to display your appreciation. Real life isn’t just full of endless happy moments. There are sad events, bittersweet experiences and difficult episodes too. We celebrate the good times and can choose to celebrate getting through the tough time. Decide not to go through trials, but grow through them. The good and bad things are what form us as people... change makes us grow. Take chances, make mistakes. That's how you grow. Pain nourishes your courage. You have to fail in order to practice being brave. The inspiring PANDORA Heart of Freedom charm is especially meaningful to me as I experienced a worrisome time last year as I waited for a diagnosis. Thankfully I received wonderful care and the conclusion was not as bad as I had initially feared. The inscription on the Heart of Freedom charm encourages, ‘Sometimes you’ve gotta fall before you fly’. If you have a friend who facing challenges or taking new steps in life, this comforting charm is an ideal gift to reassure them of your loyal support. Every dark cloud has a silver lining, and life’s difficulties can help us grow, producing good qualities. The PANDORA Essence Silver Bracelet is made with a delicate snake chain that allows you to express your qualities and personal values. One of my favourite PANDORA Essence charms is the luminous white pearl which represents dignity. Whatever situation I experience, my goal is to be dignified! The intricate Angelic Feathers Charm by PANDORA, features sculpted silver layers of delicate feathers. Its stunning, textural symbolic design will remind you of guardian-angel like friends. Illustrate the light at the end of the tunnel with the radiant, blushing PANDORA Rose Beaded Wish Ring. A quick peek of the tactile wishbone ring will brighten the wearer and fortify their strength. Do you have a special moment you would like to celebrate or cherish? Is there an important person that you would you like to show your appreciation? Have you experienced a challenge that has helped you grow? Share your defining moments in the comments below. Please comment in any language. Fantastic new offering from you Dora. Love the artwork and sentiments expressed. It shows the lovely Pandora jewellery in a new light. Thank you for your kind comment! The Magazine section of the site will be used to explore more topics surrounding PANDORA jewellery. I am also hoping it will provide an area where we can share our ideas and options. Thank you for reading and commenting. Enjoy your day! Thank you for sharing such a special moment! Your auntie sounds like a wonderful person and she will make a fantastic grandmother. Children often have a unique bond with their grandparents. I used to love spending time with my Nan, especially during the school holidays when we would spend the whole day together. Please pass on my congratulations to your cousin and auntie! Lovely review Dora.. My husband is the best on earth every occasion is marked by a Pandora jewellery.. the latest was for mothers day.. i received the gorgeous family heritage pendant in rose gold.. simply beautiful..
I’m so glad you enjoyed the article. I am planning on using the Magazine section of the site to provide more thought provoking content. Your husband has excellent taste! The PANDORA Rose Family Heritage Pendant is really beautiful. I have always admired the charm, especially the two tone version, but it is the type of charm I believe someone your loved ones should choose for you, so I haven’t bought it for myself. Thank you for sharing your special occasion with us and enjoy your day! The births of my three children are definately my most special moments. They are the loves of my life, my best friends and I cherish them with everything that I am. My oldest son, who is 6 this week, bought me a charm for Mother’s Day this year and was so thrilled at being able to go with Daddy and choose it all my himself that has vowed to pick me one every year from now on! I am definately going to need a dedicated bracelet for them! Your comment made me smile so such! I loved the idea of your little boy peeping at all the charms and thinking about which one you would like. It sounds as if he enjoyed the experience too! Thank you for sharing your ideas. It is heart warming to see the amount of thought you put into thinking about charms for different people and their relationship to you. One of the reasons I love PANDORA jewellery so much is the meaning that we can put into it. So beautifully versed…lovely words! Thank you! Aww thank you so much! I’m pleased you enjoyed the article! The plan is that the Magazine section of the site will be taking a fresh look at PANDORA jewellery and how it links to other topics. Thank you for commenting and have a lovely day! My favorite moment in Pandora history was when I received my first bracelet and charm. I had been saying for awhile that I wanted a Pandora bracelet but just couldn’t afford to start a bracelet. One day without being solicited a box arrived from Pandora. Inside was my first bracelet and charm. I was immediately enamored and since then have steadily collected and just started on my 7th bracelet. After reading my original post I realized it didn’t make sense since I left out a line of what I meant to say. My favorite moment in Pandora history was when I received my first bracelet and charm. I had been saying for awhile that I wanted a Pandora bracelet but just couldn’t afford to start a bracelet. One day without being solicited from me by husband placed an order and a box arrived from Pandora. Inside was my first bracelet and charm. I was immediately enamored and since then have steadily collected and just started on my 7th bracelet. Thank you for sharing your special PANDORA moment! Your husband sounds like a real sweetie for surprising you like that! What was the first charm he chose for you? Thank you so much for sharing your experience. You have such a positive outlook which must be very encouraging to your friends and family. I love the symbolism you have put into the Maximus Charm. I have never really looked appreciatively at that charm, but now when I see it I will think of you and your strong spirit. I love checking in on theartofpandora. I am always excited to see new designs or read a review. A lot of my Pandora I have bought myself to commemorate things important to me. I am working on a “baby bracelet” to represent my son. He’ll be 4 in September. This past mother’s day his dad got me the frog charm with the crown on top. I called Cooper “my little frog” when he was baby because his face looked like a bullfrog while sitting in his car seat. I can’t wait to add more charms. Thank you for sharing your special moment. The Frog Prince Charm sounds like a perfect charm to represent your son! When I was little my dad used to tell me that it was time to change into a frog when I got changed out of my school uniform. I also had a knitted jumper with a bright green frog on it and I would jump like a frog when I put it on! Hello Dora, I love the article, I have been collecting Pandora for more than 5 years and I love it, there is no day that is pending to all new collections and rebates to be able to add a new piece to my collection. I love when someone from my family or friends gives me something Pandora. I really like your blog, never leave it, you help us a lot with new ideas and inspirations. Thank you very much. and I wish you much prosperity. Thank you for such a kind comment! I’m really pleased that you enjoy the blog and find the ideas useful. I started collecting PANDORA in 2012 and since then it has become a real love and addiction! Thank you for sharing such a painful experience with us. I am so sorry to hear about the death of your dad and the suffering you have gone through. With so many sad situations in life it is good to take the positive where we can and I am pleased that you have been able to use your PANDORA collection to gain comfort. Dora, your photos for this blog post are stunning!!! I love all the background details. That cake looks scrumptious…did you bake it yourself? Lovely post and beautiful suggestions to cherish special moments! Each one of my Pandora pieces represents a special moment, time, person, event, accomplishment! My “Something Blue” bracelet means a lot to me because my husband surprised me with it on my wedding day and each charm represents are wedding day or a special moment from dating or our honeymoon! Thank you so much for your sweet comment! The cakes were scrumptious and my husband especially enjoyed this photoshoot when it was finished and he could ‘help’ me eat the cakes! Although I do enjoy baking, I didn’t actually bake these cakes, I bought them from a local bakery. Your ‘something blue’ bracelet is such an inspirational idea and a wonderful gift from your husband. I love seeing pictures of it on Instagram. Thank you for sharing such an amazing moment and I hope you have a gorgeous day! Thank you for sharing your PANDORA moment with us. It is so kind of your husband and son to treat you with PANDORA on your special occasions. You are definitely lucky in love to have them both! I have been collecting for only a short time — about four years — but I am hooked on it now. My daughter bought me my first bracelet for Christmas, so I guess I have her to blame. Lol. I would love to get my first 14k bracelet, but I’m afraid I might do serious budget damage. Lol. That is the problem when you gift someone PANDORA, you often turn them into an addict! I have my husband to blame as he bought me my first bracelet and charm for our 10th wedding anniversary. 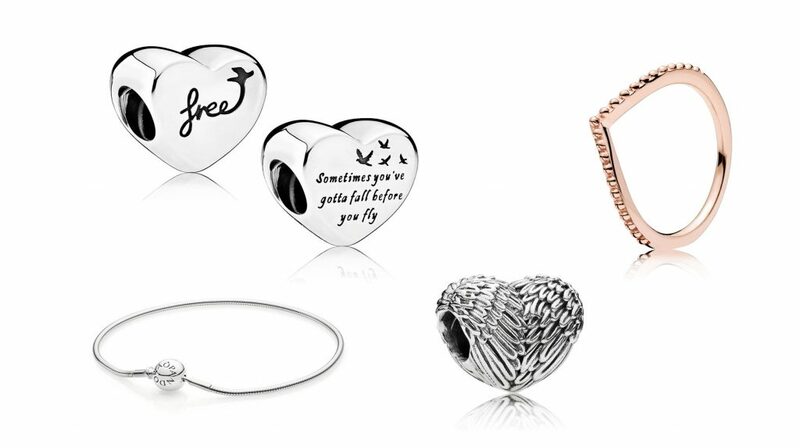 Your PANDORA collection sounds amazing and I love how so many of your charms have a special meaning for you. I think my favourite is the dinosaur charm you received for your wisdom teeth removal. 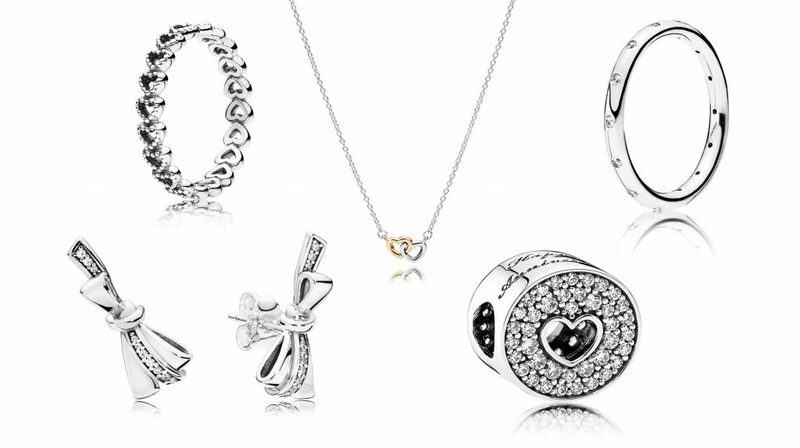 What made your mum choose that particular charm? Is it because dinosaurs had big teeth or perhaps you were brave like a dinosaur? I also wanted to add that I am regularly all your articles, which are a source of inspiration for my own bracelets! Thank you for being a regular reader of the blog, it’s nice to know you people are enjoying the articles. Like you I love to change my jewellery to suit my mood or outfit. Today I’m wearing the Mesh bracelet with the Cerise Encased in Love Charm, Mickey Love Heart and Fuschia Shape of Love Charm plus two green Murano charms to match with my pink and green outfit. Thank you so much for sharing your special moment about your best friend. I live in a different country to many of my friends and I know how wonderful it is when we meet together again after some time apart. I hope you have a fantastic time together this summer creating new memories together. Thank you for sharing your moment with us and enjoy your day. One of the most important moment in my life would be the day that i first saw my baby brother Ryan 😇😇 he is truly a blessing and the glue that holds my family together. A dear sweet soul. That is the day i truly knew what it felt like to put someone else before you. Thank you for sharing your special moment with us all. Ryan sounds like a wonderful little boy and it’s so nice that you appreciate him so much. Aww thank you so much! I’m happy that we found each other on Instagram too. I love seeing your beautiful pictures and hearing your ideas for your bracelet designs. I love this article because it encapsulates Pandora collectors everywhere. My favorite part of the article reads “once the cake is eaten and the balloons are all popped, a PANDORA charm will commemorate the occasion forever” and it’s so true. I look at the charms on my bracelet and I remember exactly what occasion it represents and it brings life to my memories. To me, my bracelet is like a scrapbook on my wrist. Pandora will always be a part of my life as I continue to create awesome memories with friends and families. I’m so happy that you enjoyed the article. Like you, I love to look at my bracelet and think about the story it tells and memories it holds. I have really enjoyed reading this blog and everyone’s story. This has really conveyed across the board how much Pandora means to everyone. Despite our own circumstances, race, religion or socioeconomic status Pandora is universal and speaks to us all. It’s a wonderful thing to be a part of such a special, unique community that brings a smile and joy to us all. Thank you for such an insightful comment. It’s so true, we all are from different places in the world and have different circumstances yet PANDORA is meaningful to us and ties us together. A special moment I’ll always remember is getting my first ever charm from Pandora as a celebration of getting the highest GCSE results in my year, I remember sitting with my parents and opening the box to see the Shimmering Rose charm I had wanted for months! It was a wonderful gift to celebrate a wonderful day for me. Congratulations for your getting the highest grades in your year! That is a fantastic achievement and your parents must be so proud of you. Well done! One of my most treasured moments was receiving the study books charm upon securing a place at university when I was 19. It was a gift from my parents and very special, along with lots of my other charms which have been gifts from my nearest and dearest family and friends. Thank you for sharing your special moment with us. The Study Book Charm is a great way to remember all the hard work and effort you put into such an achievement. Well done! Thank you so much for sharing all your moments with us. I really enjoyed reading about your plans to commemorate your daughters weddings and university place. It’s beautiful that you celebrate their special occasions and make them part of your PANDORA scrapbook. Thank you for sharing your PANDORA moment with us. Your husband sounds so sweet to drive 2 hours to buy gifts for you and your collection sounds amazing! My husband started me on my PANDORA journey too and now he helps me decide on which pieces to get next! The best moments is to do what I think is necessary, not to be influenced by the society that screams to me that I’m wrong and at the same time forgets that compassion for those who can not help themselves is the most important thing in a person. Thank you for your interesting comment and sharing your view with us. We hope you will enjoy our next upcoming articles in the Magazine too. Thank you for sharing why you love PANDORA! Like you I also enjoy looking at my bracelets and thinking about what each charm represents. I love being able to tell a story with my jewellery. Thank you for sharing why PANDORA is so special to you. I am so sorry to hear about the death of your father but it’s good that your bracelet and charm help you to remember your cherished time together. Your Self Love bracelet theme is a wonderful idea! Well done too for doing so well with your weight loss, that definitely is a worthy accomplishment and deserves a charm on your bracelet. 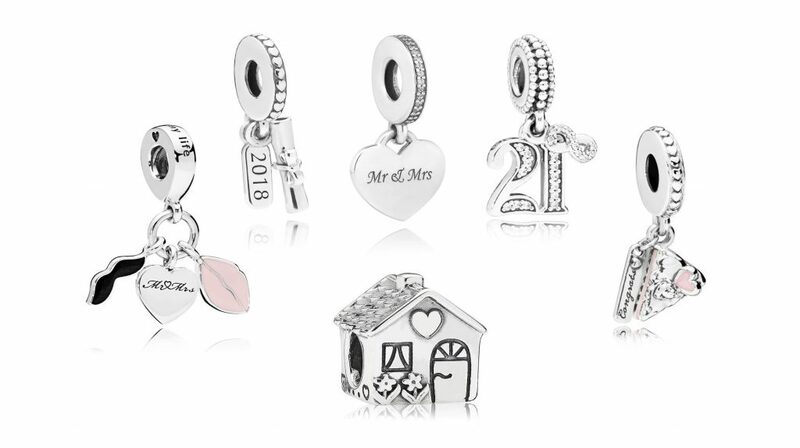 I absolutely love your idea for the 21 Years of Love Charm! It’s original and so sweet! This is exactly why I love PANDORA, that we can decide what a charm means to us. My favorite Pandora moments are when I pick out a charm when I’m traveling. I like to get charms as a way to remember my trips and with Pandora having their country/state/city exclusive charms, I have something special to look forward to and wear with joy! Thank you for sharing your PANDORA moment! Like you I find that PANDORA is the perfect souvenir and I have already planned my souvenirs for my upcoming trip to Disney World! Thank you for sharing such a precious moment. It’s so sad to hear of the death of your sisters but the way you and your sister have chosen to remember her and your relationship to each other now is beautiful. As you say, PANDORA keeps us connected. Thank you for your wonderful sentiments. I’m so pleased you enjoy reading and sharing ideas here on theartofpandora.com. We really hope to provide an area that people feel comfortable to express themselves as well as chat about PANDORA. Thanks dora for the wonderful article. All in my best moments Pandora is always with me. Every occasions hubby knows already what gift will make me happy. It always keep my memories alive in my wrist. On our 10th Wedding annivesary hubby made a special dinnner and gave me a loves truck charm. He made our eldest son narrate our love story and the charm is hidding in a rose bud. One of the best unforgettable dinner date that we had. Everytime there’s something special I celebrate it with a charm. Thank you for sharing such an adorable moment! I love that he hid the charm inside the rose! It would be wonderful if you could share your love story with us too. I especially would like to know what the truck had to do with it! My first marriage wasn’t a good one. After I left, I had to take care of my baby daughter and suddenly regain my independence. Then I met my now husband. He is what a husband/father should be. He puts his family first and makes sure we’re taken care of. Because of him, we were able to buy our first house. We also became stable enough to have another baby. I am so thankful he is in our lives. Sometimes I feel like he saved us. Thank you for sharing your experience with us. I’m so pleased that you and your children are now being treated as you should by a loving husband and father. I would like to share my Pandora moment. I received my first pandora items last year on mother’s day, marking my 5th year of motherhood. It is so special to see most of my charms have an important meaning between my children and myself. I have secretly started a bracelet for both of my daughters that I will give them as a special gift when they are older. All of their charms of course represent something about them or their lives! I love your idea of creating bracelets for your children! The day you present them with their bracelets filled with love and memories will be a special day itself! That is excellent advice! Thank you for sharing it with us. Thank you for lovely comment. It’s so true that the classic PANDORA Moments Bracelet will never go out of style. Although I like to wear the Open Bangle and Mesh bracelets for smaller designs, the Moments Bracelet is my favourite for displaying my most meaningful charms. Thank you for sharing your experience with us. You must have been so relieved to finally hear your little boy cry out. There is nothing so precious as the bond between mother and child. A couple of years ago my son gave me Pandora for Christmas. A lovely bracelet with a charm with loving Mother on it. I cried like a baby, made my Christmas so special. I have been collecting charms ever since. Thank you for sharing your beautiful memory with us! 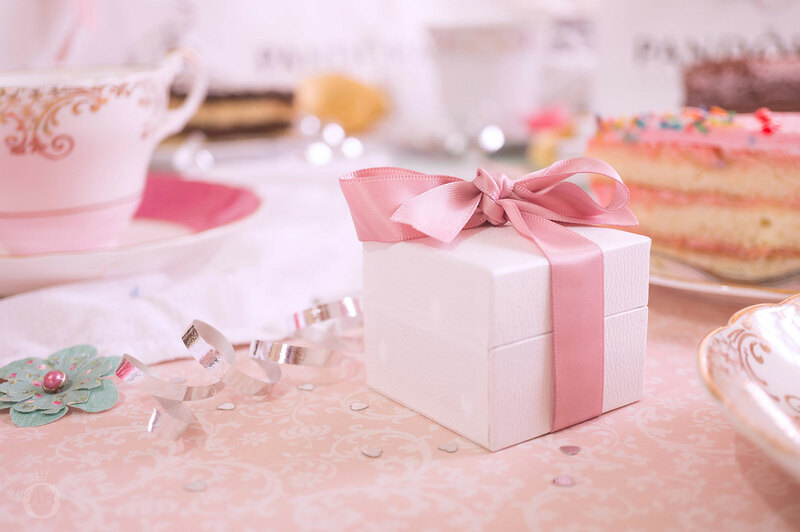 I have really enjoyed reading how everyone started collecting PANDORA and it’s interesting that for many of us our first PANDORA bracelet was a gift from a loved one. What a wonderful idea! I love how Pandora reminds me of special moments and the reasons for each charm. One special moment I’d like to share is giving several charms to my mother this past Mother’s Day, including an angel charm “from” my young son because she always calls him her little angel. She loved it so much that she featured that charm in the center of her bracelet. I love the gift your son picked for his grandmother, it’s such a cute idea! I can imagine that as well as featuring the angel charm in the centre spot, she also points it out and tells her friends it was a gift from her little angel! Thank you for your beautiful expressions! You are right, PANDORA is the perfect souvenir. I am already planing which charm will be magical souvenirs to remember my first trip to Disney World. My husband and I are going there in September and I can’t wait! Well done for passing your nursing exam and overcoming so many obstacles to be able to start your career again. It can be very discouraging to receive so many rejections but your determination and positive attitude is inspiring! Defining moments for me include special people, my friends or family! My husband and I went to Kauai on our honeymoon and, 3 years later, we convinced 8 of our family members to go back with us. I love sharing experiences because life is so much better when shared! That trip was super special! Your second honeymoon sounds like it was fantastic! As you say, life is better shared and it must have been wonderful to be able to share that experience with your loved ones. My boyfriend proposed me yesterday. We were watching the football match and had dinner when he asked the question. He didn’t give me a ring as he buys me an engament ring for my birthday every year. I said ‘yes’. I should really buy something at Pandora to remember this moment forever. And guess what? This forum post is the first time I tell it to anyone. Congratulations on your engagement! Thank you too for sharing such an incredible moment with us all! Ow you will have to start thinking about a charm to represent when your fiancé asked you to marry him. What about the retired Football Charm or the Running shoe? I love your PANDORA story and your Byrd bracelet sounds incredible! You should definitely continue the Byrd theme for your wedding day. Perhaps have a bouquet of peacock feathers and a birds nest cake with two birds inside! I am not a knick knack type person either. They bother me and it’s just more things to dust! PANDORA is a much nicer way to remember special occasions. Well done on your time spent teaching young minds. I’m sure your students will never forget you. I fondly remember my teachers from primary school. I think I may have even cried when I went to my next school because I missed them! Also I have to idea to put the flag to indicate where I’m from, so will an Emoji work? Well done for all the hard work and effort you put into you school work. It sounds as you really deserve to receive those acceptance letters and it is encouraging how you decided to take such positive action in your life. Thank you for sharing your experience with us. It is interesting to see how PANDORA can help us celebrate so many events in our lives, even in celebration of the conclusion of difficult episodes. I’m so happy to hear that you enjoy the blog. Look out for our upcoming Magazine articles on PANDORA as a souvenir as well as our reviews from the Summer Collection! I really enjoyed reading your experience and how much you love and appreciate your mum and all the sacrifices she has made for you. She sounds like an amazing woman to have raised such kind and considerate daughters by herself. I am very much looking forward to seeing the new Autumn collection and how I can incorporate my memories in the styles. Can’t wait to see it. I love this blog for all of the inspiration and ideas. The Autumn collection does look very exciting! I am looking forward to more options of PANDORA Rose including the Open Bangle and the Mesh bracelet. Plus the Mickey and Minnie End Caps are super cute! I have the best memories with my mum. We recently holidayed together. It’s was the second time my parents were seeing my son and it was so nice to spend time together. Mum surprised me with the pacifier charm to mark the oacsion. It will be a while before we see each other again. I wish we lived closer to one another but till then there will be lots of video calls. Thank you for sharing your special moment with us. I also live far away from many of my friends and family and I know how challenging it can be. I hope you have a wonderful time together with your parents when you meet up again in the future. Thank you for this fantastic opportunity. <3 I have several Pandora Moments, but there is a recent one which is very kind to my heart. My friend moved back to her country. I bought the ‘Best Buddies’ charm (the cute little bears holding a heart which says ‘Best Friends’) and a bracelet to her. She is going through a hard time and it is really good to see that she appreciate them a lot and that I could make her a bit happier. I really enjoyed reading your moment and how you used PANDORA jewellery to cheer up a friend. I’m sure she treasures your friendship and I hope things start getting better for her. I love the Home Sweet Home charm. My mother passed away last June, and she was the heart of our home. We miss her terribly but know she is in Heaven. We will see her again one day. I’m so sorry to hear of the death of your mother and the pain it has caused you. It sounds like she was a wonderful person. Thank you for sharing your experience with us. Love this article, the way how sincere you are to every charm and you find the beauty in every single one and add a story to accompany the charm with. I love the heart of freedom charm, because I’ve been passing to some tough and sad moments and this exactly represents how to encourage the difficulties that life presents to us. Thank you for your kind comment. The Heart of Freedom Charm really does a lot of meaning for many of us. The sentiments expressed in its message are very encouraging and it makes me smile whenever I look at it. Wonderful fun article. Twice as fun if I win a prize! 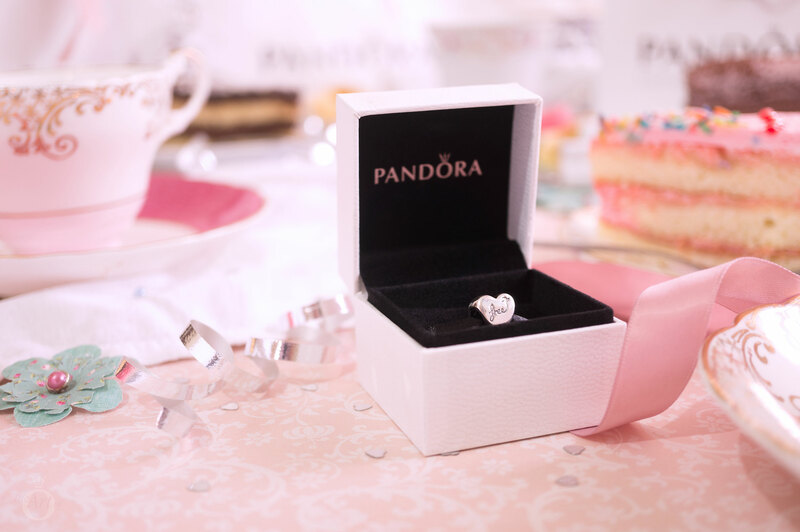 Thank you for sharing your special PANDORA moment with us. I love how you have created a charming little tradition with your husband, such a sweet idea! Thank you for sharing the joy your find in PANDORA! It sounds as if you have an amazing collection! Yesterday, my moment was with the father of my boss. He brought her flowers from his garden. They started to bloom, in abundance, after his wife passed. Giant beautiful roses and other blooms. So beautiful to hear his stories and how much he loves his girls. Thank you for sharing such a beautiful moment with us all! Your boss sounds like such a sweet man. Thank you for sharing your special moment with us all. Children are a beautiful gift to cherish. I love how all your charms have such special meanings to you. The wonderful thing about PANDORA jewellery is how it can be so personal to each of us. Thank you for reading the article and sharing your view. My special moment was meeting my baby girl for the first time, who was born 18/09/2014. On 17/09/2009 sadly I lost her twin brothers to still birth. So it was a surprise for my baby girl to come just 1 day after their birthday. It was like they were coming back to me. Was a very special moment, I now have a pandora bracelet based around my little girl, and one around my twin boys. Pandora is like a never ending scrap book. You can tell your story. I am so sorry to hear of the death of your little boys. It is lovely news though that you gave birth to a little girl. I’d love to win something special to treat my sister for her 30th, next month! My Pandora moment was the first time I took my 2 kids to Disneyworld Florida. We walked in to be treated by stitch do he was the first character they ever met and we all had our picture taken in front of the castle. It was such a special moment I will always treasure and thanks to Pandora I now have a stitch charm. Your Disney experience sounds wonderful! I am so excited about my trip to Disney World in a few months time. I’m already planning my PANDORA Disney Parks souvenirs! Thank you for reading the article and sharing your moment with us. Thank you so much for sharing such a personal experience with us all. With mental health issues affecting so many people today it is an important topic to discuss. Anyone who is considering taking their own life should be encouraged to reach out and talk about their feelings. I’m so pleased you were able to get the help you needed and have such a supportive mum. How is the catalog special?